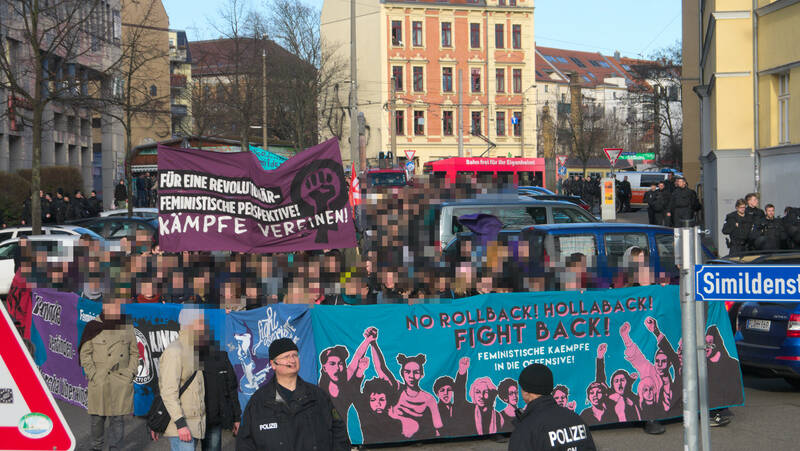 According to the press release of the Feminist March Alliance in Leipzig, the demonstration on Saturday March 11th with the motto “Feminist struggles to the offensive” was a full success. More than 1600 people went on the streets against a right-wing rollback, for equal rights of all sexes and the dispersal of societal genders. Read the entire pr (in german only) here. Thanks to everybody who took part! Let’s stay rowdy and perceptibly!